A distribution box is an important part of your wastewater system. It ensures even distribution of effluent between all the pipes in your percolation area. 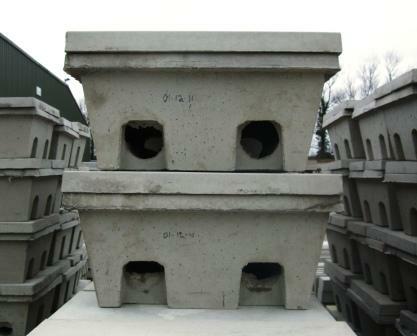 Delaney Concrete stock a variety of distribution boxes to meet your percolation area needs. 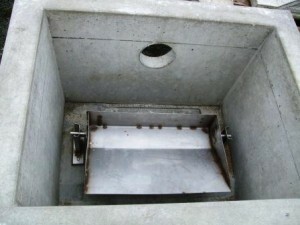 Effluent flows from your septic tank or wastewater treatment system into the distribution box where the H shaped channels split the flow between 5 outlet pipes. This distribution box automatically discharges effluent using the basic pivot & balance principle. It provides equal flow distribution to each outlet and ensures optimum performance of percolation areas.